Authority is a tricky thing. As a parent you absolutely have to have it. As a teen they absolutely have to challenge it. Too little causes chaos. Too much causes distrust. Figuring out the balance of authority is a constant challenge in a parent-teen relationship, and it takes work. 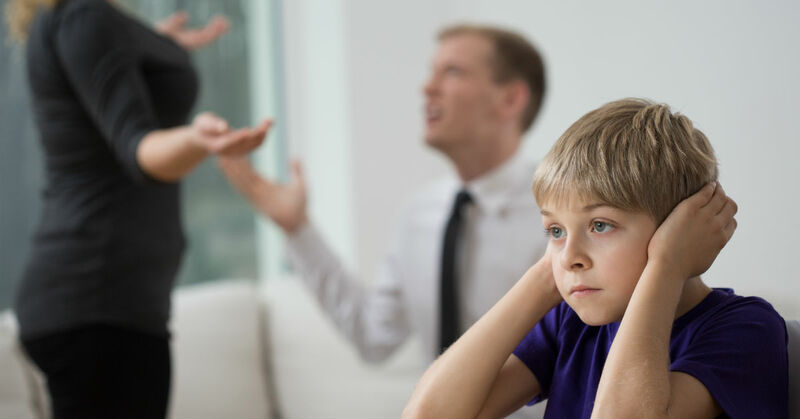 It can be even more difficult if you find yourself co-parenting with a spouse who asserts too much authority. How Much Authority Is Too Much? It’s an incredibly complicated situation when you disagree with your spouse about parenting. The most important thing is to be consistent and united in the raising, rules, and consequences for your teen. This means the first step is to have an honest conversation with your spouse. Tell them what you’re seeing, and why it concerns you. Express your feelings kindly, but firmly. Be sure to fully explain, and prepare for them to feel defensive. Then take the time to listen to their side, as they likely see it in a very different light. Together, try to come up with some parenting goals upon which you both agree. Maybe you’ll give your teen a later curfew this weekend and see how it goes. Maybe mom will handle all the punishments & consequences from now on as a rule. Don’t be afraid to try new things to see what works. Don’t forget your teen in all of this. They may feel unloved, disrespected, and distrusted by the amount of authority your spouse exerts on them. Having a discussion about how they feel can be critical. Explain that the authority comes from a place of protection and love, and ask them how you (and your spouse) can better show it. You may need to be more sensitive about compensating for your spouse’s extra authority with love and trust. If your spouse is asserting too much authority because your teen is not responding, that is very common and can be fixed. If your spouse is asserting too much authority because your teen is out of control or in need of serious correction, there is help out there for them and for you. You don’t have to let strong authority ruin the relationships you have – get some assistance and get y our teen back today.